A blushing bride making her way down the aisle at an unforgettable venue; confetti strewn over a loving couple; and guests dancing to the backdrop of a spectacular view no matter what the season… in Cape Town, weddings like these are guaranteed all-year long. 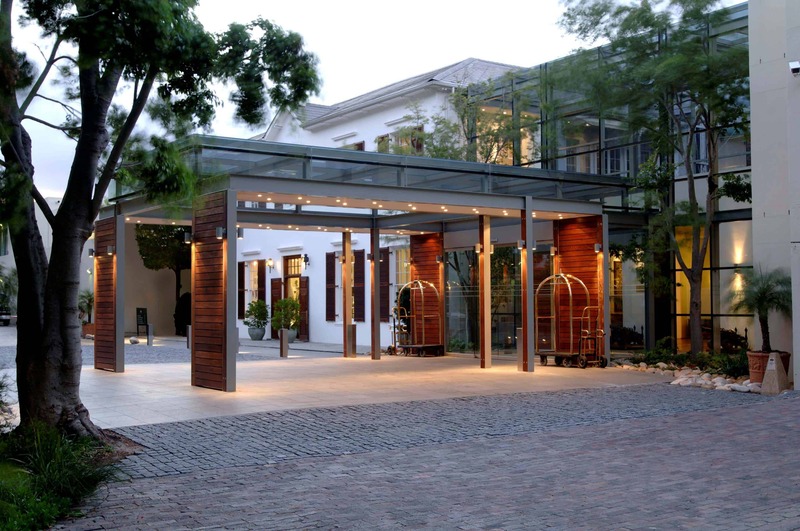 In the heart of the Southern Suburbs lies the environmentally conscious Vineyard Hotel & Spa, the perfect setting for green lovers. With its unblemished vista of the exquisite forested slopes of Table Mountain and indigenous gardens, it’s the ideal venue for a mini-elopement. It’s Just Us wedding package includes the wedding ceremony (including minister/marriage officer and legal documentation); the bride’s bouquet, corsage and petals for the wedding; a congratulatory celebration with sparkling wine; Grapetiser and canapés; Melissa’s chocolate polka-dot wedding cake with fresh flowers; a four-course wine-paired dinner at the hotel’s outstanding The Square restaurant, with sushi bar; one night’s accommodation in a room with mountain view, including petals on the bed, sparkling wine, gift box and a full English breakfast for two; and a deluxe spa treatment for two at Angsana Spa. A garden wedding ceremony within the Italian splendour of the Casa Labia Cultural Centre in Muizenberg adds a touch of glamour to your nuptials in all seasons. The centre has a super-efficient internal events team to assist in the smooth running of your special day. Say, “I do,” on the terrace of this five-star hotel overlooking the gorgeous ocean in Camps Bay. Whether you and your 80 guests are feasting on gourmet dishes at the Azure Restaurant, or dancing the night away under the impressive marquee and creating everlasting memories, you can be sure everything will be managed perfectly by the Twelve Apostles’s capable wedding coordinator and her team. Extend your magical wedding celebrations by booking your romantic honeymoon here too. With decadent spa facilities and first-class service, your married life will get off to a luxurious start. If it’s a countryside wedding and honeymoon you’re looking for, you can’t do better than D’Aria in Durbanville. Nestled in the Durbanville Winelands, the romantic wine estate offers a 200-seater reception venue, catering services, stunning live entertainment and luxurious cottages for the perfect wedding day and night. Keep the groom and his mates entertained with a few rounds of golf while you and the girls fret about looking aisle-worthy gorgeous at the Devonvale Golf & Wine Estate in Stellenbosch. In the midst of vast mountain scenery, luscious vineyards and a golf course, there is a private gazebo and garden for you to pledge your fidelity, as well as a tasteful venue and large dance floor for your guests to enjoy.